It’s the same case every time: You look one way in your bathroom mirror and then completely different everywhere else. But the problem isn’t your makeup skills; it’s your lighting, which, when done wrong, seriously affects your makeup routine. Fluorescents can make us put too much on, and rosy lights can make us miss spots. Our makeup studios (aka bathrooms) deserve better illumination, and so do our faces. So we talked to some makeup artists and did a little research of our own to figure out how to trick out your bathroom lighting. Fortunately, with just a few tweaks and products, you can improve your bathroom light situation to be much more flattering. Keep scrolling to find out how to achieve the best lighting for applying makeup. Fluorescent Lighting: For obvious reasons. It's not just you. No one, and we mean no one, looks good in fluorescent lighting. Cool, fluorescent white light is unforgiving and overly bright. This unflattering lighting can cause you to overdo it with the foundation, bronzer, or blush in attempts to compensate for the lack of color on your face. Rosy Light: Rosy light can make complexions appear healthy and vibrant, which sounds great, but it's all a lie. Due to our radiant appearance in this lighting, we tend to slack on the concealer, only to later realize that we missed a blaring blemish or dark spot. Downlighting: Remember when you were a kid and used to hold a flashlight under your chin to look scary? Well, this is the same thing but in reverse. Downlighting shines down on wrinkles and pigmentation and casts shadows under the eyes, making you look instantly older. The best condition for applying makeup is a warm or natural light source. Natural sunlight provides the most accurate reflection of your face, but for those cloudy days when fresh rays aren't an option, warm white light, like LED, is the next best thing. It closely resembles the color spectrum of natural light while evenly distributing light across the entire face. When installing lights in your bathroom, you want to create cross illumination or side lighting to ensure that the light evenly diffuses across your whole face. A trick to setting up your lights is to check the mirror; the most illuminated section of the mirror should be at eye level. Also be aware of setting up lights solely above the mirror. They'll illuminate the forehead, forcing you to tilt your head too far up and making it difficult to apply makeup with precision. Buying the right bulb is essential to creating the perfect atmosphere for makeup application. 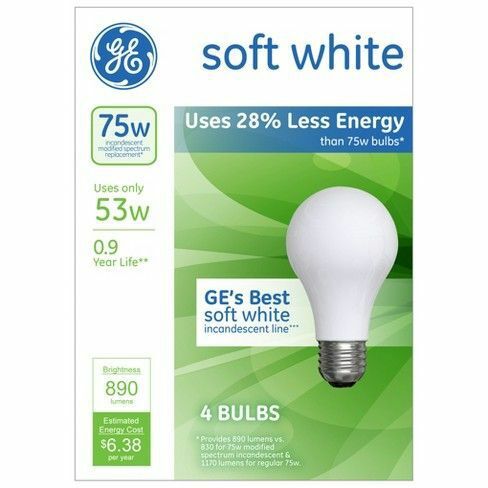 The GE Energy Efficient Reveal ($6) bulb in 75 or 100 watts is great. Installing dimmers in your bathroom is also a fantastic way to customize and tailor your lighting environment. 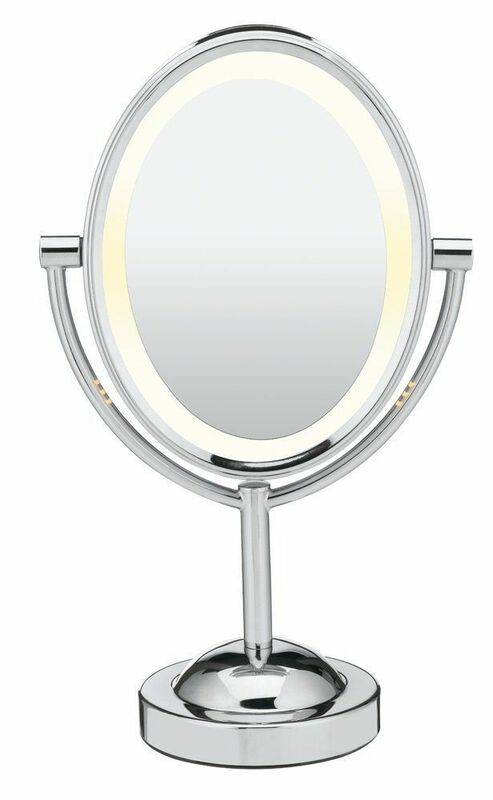 But if you don't want to commit to changing the lighting wherever you do your makeup, consider investing a quality makeup mirror instead, like Conair's 7x Magnified Lighted Makeup Mirror ($30) or Simple Human's 8'' Sensor Mirror ($180), which contains LED lights. Take advantage of natural light when shopping for makeup. Department store lighting doesn't always provide you with the most accurate perception of your face, which is why the foundation that you thought was perfect in the store doesn't match your skin color as perfectly when you put it on at home. The fix? Shop during the day and take a mirror with you. When trying out a new foundation, bronzer, or any makeup, take out your mirror and walk over to a window with natural light. This will allow you to view the makeup in the right lighting before you buy, and prevent future purchases from ending up in the pile of mismatched makeup under your sink. Shop good makeup lighting below. 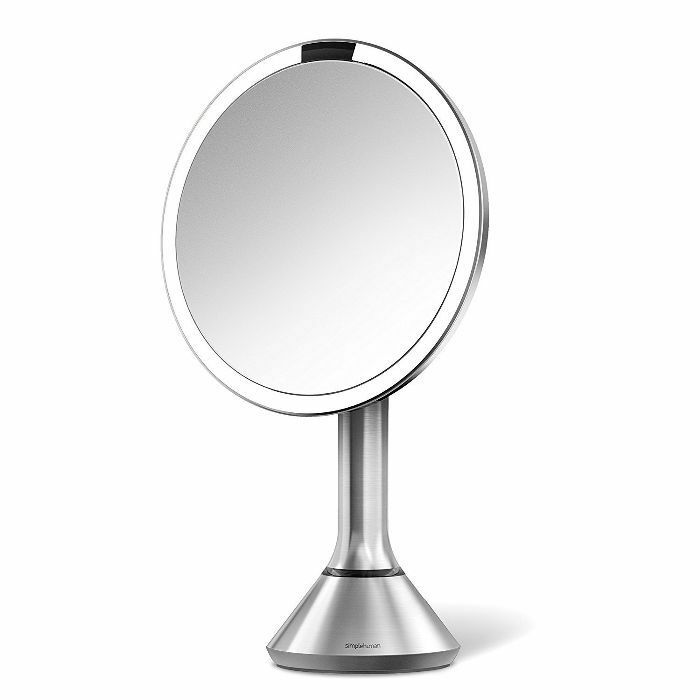 Before you go, shop our seven favorite makeup mirrors.